Home/All News/Wow what a year! 2016 has been a great year for Royal Akarana Yacht Club, and might be hard to match! From getting our resource consent and construction contract signed for the development of our new building and then relocating to Auckland Sailing Club, 2016 has been a year for massive change, carving our path for a brighter future. 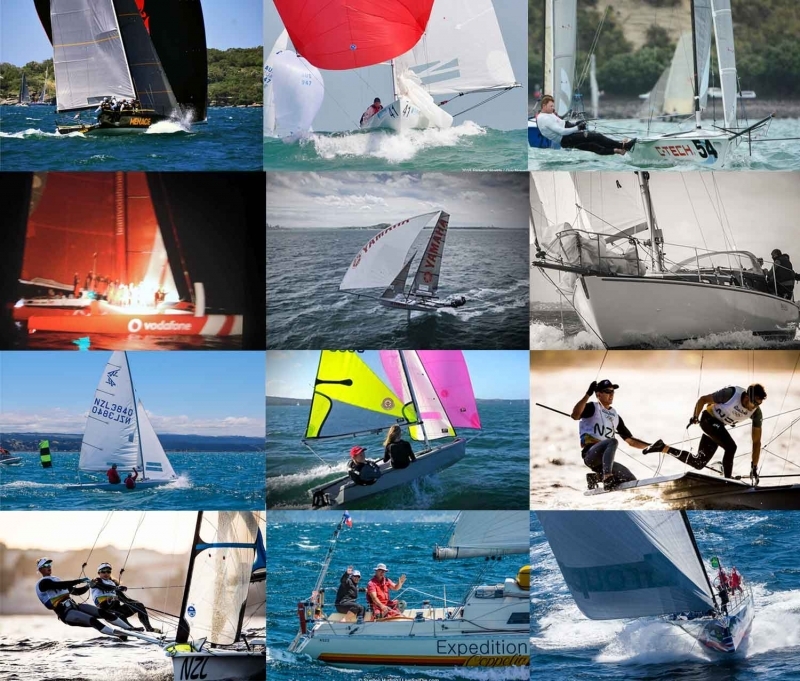 Our sailing members have excelled at all levels and across a range of disciplines. Howard Spencer and his MC38 Menace crew achieved great results in Sydney, beating the Australians in an array of regattas on Sydney Harbour and Pittwater. The MC38 is a highly competitive one design keelboat class, and Spencer with his crew, travel back and forth across the ditch to race against the Aussie fleet. Menace won the season opening event and the Spring Regatta. Anatole Masfen and his crew won the Etchells European Championship in Cowes and then went on to finish 9th at the Worlds. C-Tech sailors Alex Vallings and Fraser Brown won the 12′ Skiff Interdominions which was raced in Auckland in January 2016. They won six out of the nine races sailed finishing on 21 points, nine points clear of second place. Simon Hull with his ORMA60 Team Vodafone Sailing crew sailed the fastest ever time in the ANZ Sail Fiji Race. They raced from Auckland to Denarau over the June long weekend, setting an awesome time of 59 hours 31 minutes and 3 seconds. Eli Liefitng and Rose Dickson won the RS Feva NZL Championship and claimed 4th overall at the World Championship in Spain. Considering there are less than 30 RS Feva’s racing in New Zealand, this achievement was outstanding for these young sailors. Yachting New Zealand also noticed the importance of their result, and along with winning Performance Awards, Liefting and Dickson were awarded the YNZ Emerging Talent trophy for their success. The 18′ skiff Yamaha, sailed by Dave McDiarmid, Matt Steven and Brad Collins, finished 2nd overall at the JJ Giltinan Regatta in Sydney. 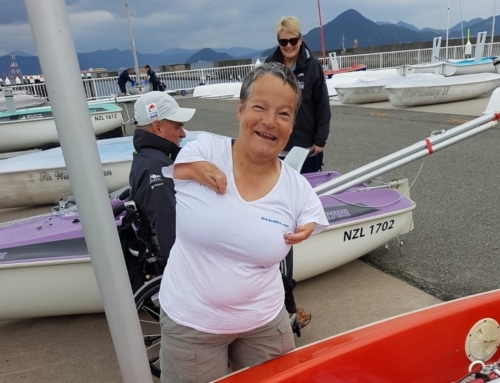 This was the best result for a kiwi team in 42 years, showing the world that 18′ Skiff sailors from New Zealand are a force to be reckoned with. The team went on to win the Mark Foy World Championship in Fiji, and were awarded a YNZ Perfomance Award for their results. Mark Taylor, RAYC club captain and owner/skipper of the Stewart 34 Pahi, won their division in the PIC Coastal Classic both on line and handicap. The classic restored boat will also be racing in the 2017 SSANZ Round North Island starting in February. Our Commodore Sally Garrett was recognised at the YNZ Awards, winning a Service Award for her ongoing commitment to offshore yachting safety, and leading the way in this field. Murray Gilbert and Jonathan Burgess claimed overall victory in the Flying 15 Nationals, putting them in a great position for a strong finish at the upcoming Worlds to be held in Napier in March 2017. Murray Gilbert & Jonathan Burgess – winners of the 2016 Flying 15 Nationals. The Olympics was a great time for RAYC, with four of our members receiving medals. Alex Maloney & Molly Meech had us biting our fingernails down to the bone when they raced their hearts out to claim a silver medal in the 49erFX class. This was then backed up by Peter Burling & Blair Tuke wrapping up a successful four year campaign by winning the gold medal that they well and truely deserved. Maloney & Meech were made life members of Yachting New Zealand and won Performance Awards. Burling & Tuke won sailors of the year, again. On the 31st December, they were named as Members of the Order of New Zealand in the New Years honours list. The last time a kiwi won the Sydney Hobart Yacht Race was when Sir Peter Blake raced Lion New Zealand to overall victory back in 1984. But on Friday 30th December, that changed, when Jim Delegat and his Giacomo team were awarded the Tattersall’s Cup for winning the 72nd edition of the Rolex Sydney Hobart Yacht Race. Delegat and his dedicated crew have been aiming for the win since they started their Hobart campaign back in 2013. It was a bumpy ride to victory, and one that is still sinking in for the entire Delegat family. Jim, along with sons Nikolas and James and fellow member Tony Rae, showed the Aussie’s that kiwi dedication can take you all the way. But before this, Giacomo set a new monohull race record in the ANZ Sail Fiji Race finishing in just 2 days 22 hours 53 minutes and 19 seconds. Royal Akarana Yacht Club, established in 1895, has a long history of success both on and off the water, but 2016 would have to be one of the must successful years to date. Congratulations to all our members on their achievements. Let’s take on 2017 with the same amount of grunt!